Hi, not so good work with my ' It was a just a seedling...' wallpaper. So I did my style, simple. I decided to make Pure Heart a set. So this is the second, which is red themed. 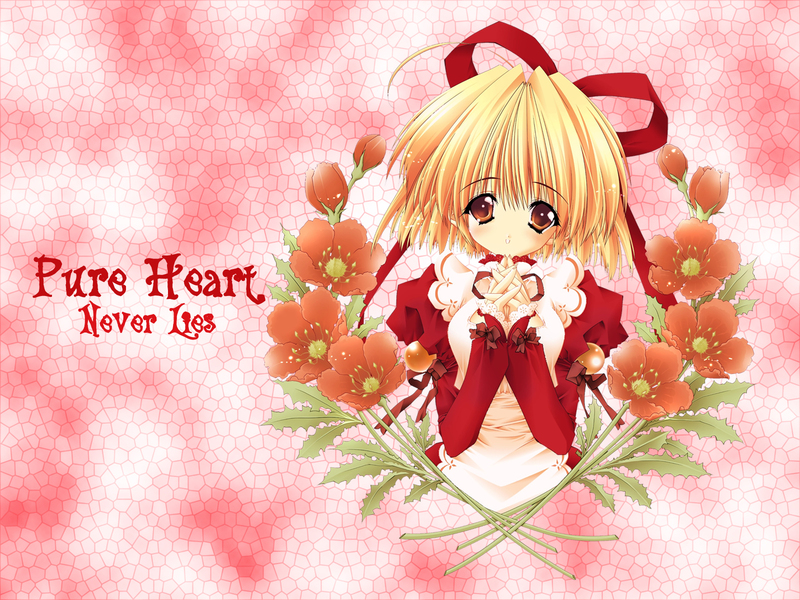 If u see the yellow themed, then u should realized that he quote under the Pure Heart is different. I almost went blind, extracting. Well, is a Carnelian wallpaper and if to compare with other Carnelians, this is bad ~_~. anyway, credits to Miroku4444 for the scan.